Favorite Female Celebrity Navels of All Time – Part I - Belly, Inc.
Is midriff baring fashion a growing trend of 2015? 5 reasons why Alexandra Daddario has become our new celebrity crush! Instagrams MOST viral body challenges! Belly buttons. Everyone (well, most everyone, unless they’ve had surgery to have them removed, or something along those lines) is born with one, and while many tend to dismiss them as simple birthmarks or as a part of them to decorate, when you’re a part of a navel and stomach loving community, you tend to look at them with a more open mind. 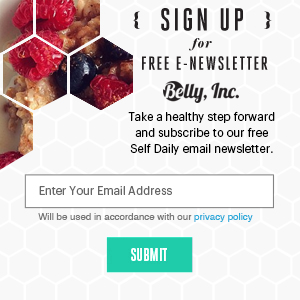 As a member of BellyInc., I am one of many individuals with this viewpoint, along with countless other forums and groups spread throughout the internet, and suffice to say, no matter how unique each of us is, we share a much larger appreciation for the seemingly nondescript navel. This is a list that has grown and shifted over the years, as I have aged and my preferences have evolved into what they have become now. And while it doesn’t mean I don’t find other women to be attractive, or their navels to be endearing in one way or another, these ladies are simply the ones that rank highest on my mental list. Is it biased? Probably, yes. Is it little more than fan service? Definitely. But for me, it means sharing what I like, and I do so with respect. As a note: the following is simply my opinion. No offense is intended, it’s just one guy detailing a few women whose belly buttons he really likes. Oh, and I take no credit for the images used. If I were being honest, I would have to say that Kristen Stewart has genuinely grown on me over the years including her Coachella Portrait for Nylon Magazine, April 2017. Looking back to when the cinematic monstrosity of Twilight first evolved from its previous form of a literary monstrosity, I remember seeing the film on Showtime and being… Well, less than impressed by her rather wooden performance. It wouldn’t be till later that I realized it wasn’t entirely her fault; the character she played didn’t exactly have a whole lot of personality, and what personality she did have was rather repugnant. That, and I also learned Kristen hated her character and wasn’t fond of the franchise at all. My respect for her grew rather swiftly from there. I have come to see Kristen Stewart as someone who can really act when she’s given the right role for her. She is not the most emotive individual—in my opinion—but that doesn’t mean she’s incapable of expressing emotions or doing well in scenes, because I have seen moments where she’s able to pull off some solid performances. The world of sparkly, stalking, manipulative immortal jerkwads just had more staying power on her than it probably should’ve. That aside, Kristen is a very attractive woman. Whether it’s with her trademark long brown hair or her recently cropped blonde hair, she has what I can only refer to as a very relaxed, casual appeal in how she looks and carries herself. She tends to have an edge to herself no matter how she dresses, and I for one love it. It shows that she has a hidden layer of confidence, mixed in with an air of ‘don’t mess with me,’ and while it could appear standoffish, I feel it only further encapsulates her coolness factor. And of course, there is the fact that she has a very nice stomach, graced with a cute little belly button. Her stomach is lean, with a faint hint of tonedness that shows she knows how to take care of herself, and she’s also never shy about flaunting it, either. Interestingly, there was a rumor floating around that she pierced her navel some time ago, but this has since been debunked: her navel is unpierced, yet it wouldn’t have taken away the appeal for me. I like the almost diamond-like shape to it, with enough shadows in there to give it the impression of some depth. She has herself a lovely stomach and navel, and I feel no shame in saying she is one of my favorites of all time. Bad jokes aside, I haven’t been following Rihanna’s music career as often as I did once before. I feel it’s mostly due to a change in her music and lyrical style, one that, while not bad by any means, is simply a different direction from the sort of music that I prefer. Still, I have an undeniable fondness for her and some of her ‘classic’ songs, especially Disturbia—which to this day I am annoyed there isn’t an uncut version that uncensors the one curse one she uses, simply because it always breaks the flow of the song anytime I listen to it. Still, I am happy when I see the Barbadian born singer doing well for herself. She has a powerful set of vocal chords, and I always like to cheer on the people—singers, actors, writers, what have you—that I like to do well for themselves. Especially when they go through some personal hardships or struggles, such as Rihanna and… Well, let’s just say that I will likely never forget—or forgive—Chris Brown for his actions in the past. Even though I have never been a super fan of Rihanna’s, the disrespect and the callousness of his actions have soured me to him forever. But this isn’t about the bad, no. This is focused on the positive, like how Rihanna is continuing to put out music left and right, and how she’s dipped into the acting world as well, which I think is cool. I remember seeing her in Battleship, and while admittedly the film wasn’t all that great, I felt she did well for herself in it. Rihanna’s look has changed a lot over the years, her image as a singer evolving and shifting, reflecting whatever new motifs she’s dawning when it comes to her music. She’s been the sweet girl next door, she’s edged up to reflect a darker style of singing, and she’s been everywhere in between the two. Long hair, short hair, medium hair, straight, dreads, spikes; she’s practically done it all, and each time, she’s been fabulous, and she knows it, too. Her stomach has always had a natural soft quality to it, and I feel that’s amazing: she’s able to show that you can be beautiful no matter your size or shape, so long as you are happy and healthy. Rihanna captures this essence perfectly, especially with her always-strong confidence level. And of course, the icing on the cake is her navel, an innie with a nice shape that has changed a little over the years. It goes incredibly well with her physique, I feel, and is perfectly eye-catching. Here’s to hoping she shows it off more often. She’s got a great bod, so there’s no reason she shouldn’t be proud of it. Like Rihanna, Selena Gomez has continued to be strong in her music career. I’ve listened to Selena more frequently than Rihanna as well, since her style has stayed close to my usual preference when it comes to the pop genre. That’s not to say one artist is better than the other in any way, it simply depends on what your taste winds up being. The same could be said for everything, and that also includes people within the navel community and whose innie or stomach they might like over the other. But for me, I love both equally. I think Selena has done very well for herself in recent years; she’s still singing, including a more recent song with a name that partially reflects on fetishism in its own way, and to my knowledge, there’s been no drama in her life nor anything major besides the fact that she’s on top of her game in the music industry. I think the only thing I could think of if I tried was the whole Justin Beiber debacle, but that’s in the past, and it doesn’t really relate to Selena as a person. Much like Kristen and Rihanna, Selena has a great figure and a great stomach. Hers is leaner than Rihanna, yet it shares in a softer physique, graced, of course, by a rather endearing navel. Hers is particularly interesting because of its t-shaped qualities, especially since the angle of it makes it look almost like an upside-down triangle—cue the Illuminati jokes here. But even so, her navel’s shape is incredibly eye-catching, and while she’s worn her fair share of high-waisted pants, she’s also shown she isn’t afraid to show it off to the world, both when she’s onstage singing away and offstage. Selena has that girl next door energy to her, and just because she hasn’t adopted the same edge that other singers like Rihanna and Miley Cyrus have had doesn’t make her any less appealing. ‘Sultry’ is the word I would use to describe her, because in my eyes, Selena and her t-shaped navel skirt the line between cute and seductive to a T.
Speaking of Miley, she is also among my list of ladies with the best navels, and in fact, she’s one of my biggest (and current) celebrity crushes, and one of my favorite current female pop singers as well. It would be a disservice to not include her on this list, even though I’m obviously going to be biased given everything I’ve just said. Again, though: fanservice, remember? Ahem, onto the important stuff, shall we? Miley has gone through an interest shift in image over the years, starting from her gradual descent into more of an edgy ‘bad girl’ following her Disney days, then transforming into what I can only describe as a ‘really out there doing wild and lewd and crazy acts’ girl, before, it seems, toning it down to a fusion between a more casual image with hints of that ‘bad’ edge on the side. A bit of spice to keep things interesting, you could say. And while I know her previous antics were of the hit-or-miss variety, to be honest, I supported her even then. I never mind them, because for me, it was harmless; she was doing what she wanted and it didn’t hurt anybody, so, I saw no reason to attack or shame her for it. And really, I think that’s the most awe-inspiring thing about Miley to me. She is a woman who has always done what she wanted and has done it with style and energy, and she’s never backed down from anything. She doesn’t care about controversy or yellow tape on anything that others may, which just makes me admire her for her bravery and willingness to stand for whatever it is she wants. It’s her party, she can do what she wants—so long as she isn’t hurting anybody, what’s the harm? I think she’s great, and I’d be lying if I said I didn’t also love the times when she bares her stomach. It’s got a nice, semi-toned quality to it, similar to Kristen and Selena, but perhaps a slight bit more hint of muscle depending on how you look at it. She’s not shy about showing it off, for sure, and as someone who loves tummies and belly buttons, I can’t get enough. And of course, there’s her adorable belly button. Pierced or unpierced, her navel is one of my favorites; I like the swirl-like shape, and I also love the little freckle she has under it. It’s eye-catching, perhaps a bit more so than the other ladies on the list. So yeah, I stand by Miley, bare navel and all. Party on, popstar. Finishing off the first part of my list for my favorite navel girls of all time would be the always fabulous and always stunning Ashley Graham. She’s one of my newer additions in recent years, and I for one couldn’t be happier about it, because Ashley represents a change in the modeling industry and a positive change that I hope continues as time goes by: she represents a growing acceptance in plus-sized people, showing plus-sized women (and men, even) that they can be beautiful regardless of their size. Ashley for me is not only a very attractive woman, she’s a beacon, alongside other plus-sized models, a beacon for body diversity in the usually cruel, unforgiving world of societal beauty standards. Not only that, but as a person who loves stomachs and navels, she’s opened my eyes to a spectrum I had never really known about before: the beauty of plus-sized bellies and the beauty of their belly buttons. So, it wound up being two wins for the price of one. Her stomach is gorgeous, though. There really isn’t another way for me to say it, but given her status and fame modeling swimwear, it shouldn’t be that much of a surprise. Her soft, curvaceous build is incredible, mixed in with a lovely tan complexion—tan to my mind’s eye, anyways—really brings out the emphasis on why plus-sized is amazing. And of course, navel is the icing on the cake, since the shape if her innie further compliments her stomach. I love the upside-dow0n crescent shape, with a tiny bit of shadow in the center that makes it appear deeper, making it all the more noticeable. Ashley is one of my favorites, alongside the other four ladies. Each one is stellar in her own right, and each one has a great stomach, a great navel, and each one is doing their own great things in life. But these are merely the first five in a potentially larger list. Part 2 coming next month.